Skipper Sam Northeast hit an unbeaten 173 supported by fifties from Sean Dickson and Darren Stevens as Kent earned a big lead on the third day of the Specsavers County Championship match at Hove. Resuming on 82/2, opener Sean Dickson reached his 8th first class 50 in a stand of 30 with James Tredwell before nightwatchman was bowled by former South Africa all-rounder David Wiese. Northeast started his innings in beautiful boundaries, driving Wiese down the ground for a succession of finely stuck fours as he attempted to overtake the defiant Dickson, who departed LBW for 89 to an Ajmal Shahzad delivery that kept low. 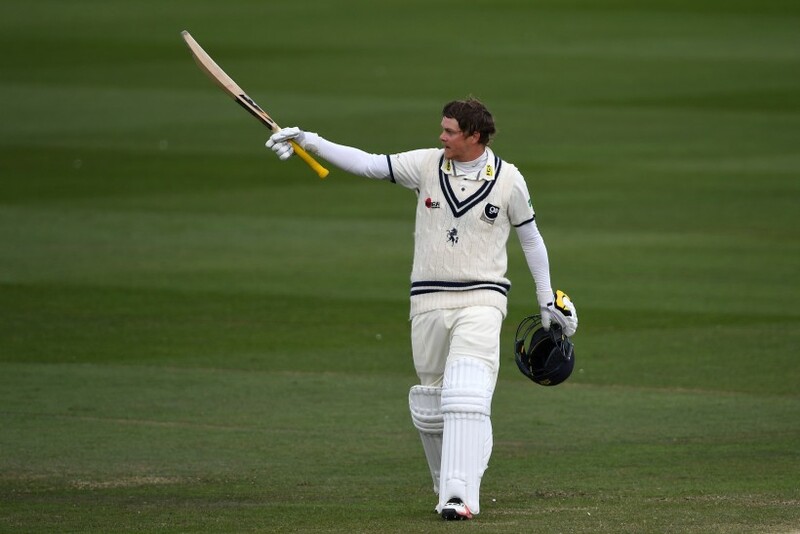 The captain reached his 17th first class century off 123 balls including 12 fours with Darren Stevens reaching his 73rd 50 in red-ball cricket. Northeast freed his arms after reaching the landmark, smashing seven boundaries and four sixes after he reached three figures as Kent pushed past 400. Stevens clubbed two sixes and seven fours of his own in a brisk 71 before the umpires called a halt to play due to bad light. Speaking at stumps, the Kent skipper said; “We are in pole position going into tomorrow and it will be interesting to see if the wicket does deteriorate because it felt today’s batting conditions were the best of the match. “The new ball will be crucial. If we can start well and keep grinding out the wickets we can hopefully get another win. We are in a good position because we have the luxury of having attacking fields with the runs we have on the board. “My preparation has been a bit weird, with playing a lot of white-ball cricket in Dubai in the North v South series. I then had a bit of a hamstring injury so I’ve come into the season a bit undercooked in terms of red-ball cricket. So, to get the score I’ve got and feel good at the crease feels very satisfying.